The third week of October, 21- 27 October 2013, Royal Holloway celebrated International Open Access Week. More specifically, on 22nd of October the College’s Library Services planned an event dedicated to its doctoral students, entitled “Make your research stand out”. The event turned out to be very popular, which mostly reflects the students’ interest in open access. 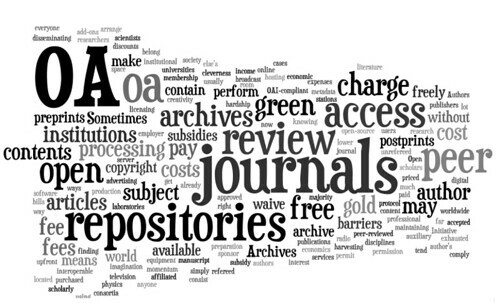 If you are new to the open access concept, you can find plenty of information about open access on the library’s webpages. We invited two guest presenters to this event; Tom Pollard, a PhD student at University College London and an open access advocate, who explained why he is supporting open access and how open access helps him by either acquiring access to research papers or ensuring his own research is open and available to everyone in the world. Tom’s presentation can be downloaded from here. Martin Donnelly, from the Digital Curation Centre, touched upon the importance of Research Data Management (RDM) and presented the drivers and best practices for managing research data. His presentation is available here. The library staff gave a short presentation on the routes to open access, the RCUK Open Access Policy, which affects RCUK-funded students and the library services available to help. The presentation is also available online. We are pleased that this event was so popular and we will be planning more open access events in the future.